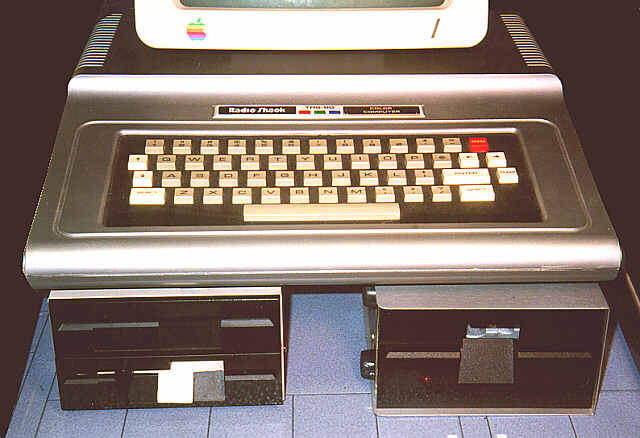 The Color Computer, or CoCo for short, was initially used for learning BASIC and playing cartridge-based games (see below). In later incarnations it developed a large memory capacity and the ability to run a fairly sophisticated operating system, OS-9. Tandy Color Computer Game Cartridges. 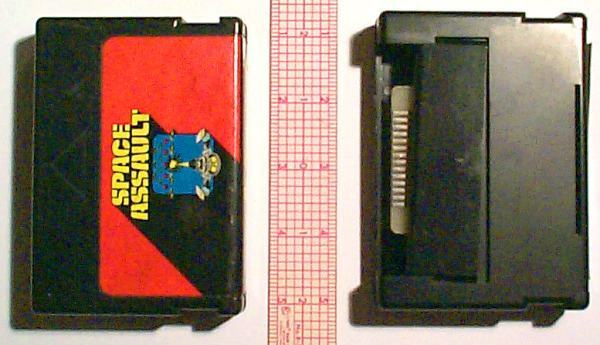 The one on the right has the spring-loaded connector shield pulled back so you can see the card edge connector.